Pancho Campo to Host "Wine Future Hong Kong 2011"
Wine master Pancho Campo, president of The Wine Academy of Spain, will hold a press conference at Seoul Plaza Hotel on July 26, 2011 prior to "Wine Future Hong Kong 2011" event slated for November this year. A host of local media and people involved in wine business will be invited to the press meeting to be held at 10:30 a.m. on the day in Maple Room on the fourth floor of the hotel. Buffet lunch will follow the press conference. Mr. Campo is expected to explain to the Korean journalists about the Hong Kong wine event. The Wine Academy of Spain is organizing "WINE FUTURE HONG KONG 2011" to be held from Nov. 6 to Nov. 8, 2011. The 2009 edition, held in Rioja, was very successful and rated by many wine experts as one of the largest and the most important conferences in the history of the wine industry. For this new edition we have secured the participation of the most relevant and influential wine personalities from around the world such as Jancis Robinson, Robert Parker, Gary Vaynerchuk and Steven Spurrier. The event will be focused on the business and marketing aspects of the industry, with a particular emphasis on the Asian market. This press conference is one of a series aimed at promoting the event to the leading wine markets around the world and reflects Korea’s growing influence on the global wine market. 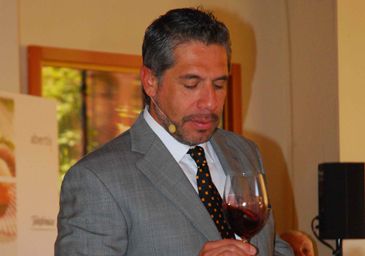 So far Mr. Campo and other wine experts have visited Bordeaux Vinexpo, Spain, Napa Valley, Hong Kong. They have plans to progress the Asia promotion to Singapore, Shanghai, Taiwan as well as Seoul this July.